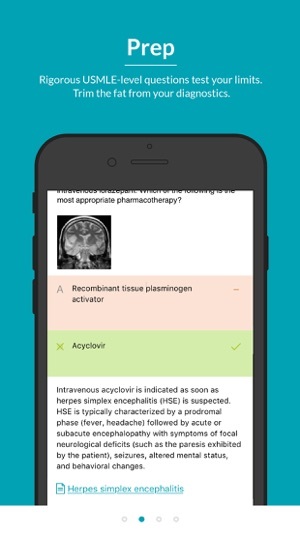 The AMBOSS Knowledge USMLE app and the AMBOSS Qbank app together offer a complete and streamlined study resource for your Clerkships, NBME® Subject Board (Shelf) Exams, and the USMLE™ Step 1 and Step 2 CK & CS. It can also be used as a supplementary resource for the USMLE Step 3 exam. Both apps are free with a subscription to AMBOSS. No Wi-Fi? No problem. The apps work both online and offline. The AMBOSS medical Knowledge Library has 900+ Learning Cards with 15,000+ terms and topics that can be reviewed and studied in depth, and can act as a point-of-care resource for quick referencing when you’re with patients or your attending physician. With its tight integration with the Qbank app and numerous features to help you pinpoint your knowledge gaps, AMBOSS delivers the most complete medical learning platform available. Take charge of your medical studies. With AMBOSS, you can replace multiple, scattered sources with a single touchpoint that can meet your medical knowledge needs. 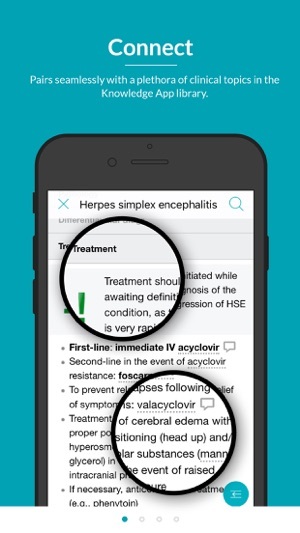 Developed by a team of over 60 USMLE trained physicians, you’ll find a comprehensive medical library, practice exam questions, physical exam cases, interactive multimedia materials, and more at your fingertips and in seconds. • Reference content at the point-of-care. Utilize the only reference application specifically designed for students on the wards that offers just the right amount of information. • Find every answer. 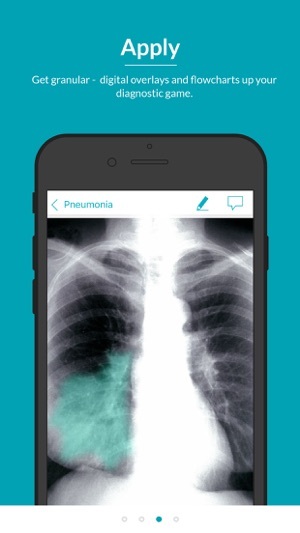 Access thousands of library knowledge cards outlining diagnoses, diseases, and more in just a few taps. • Optimize your study time. Switch on high-yield mode to see the most important information you need to know on every card. • Study with interactive materials. Enrich your study sessions with a variety of multimedia elements, from X-rays with overlays to videos. • Make use of your downtime. Review from anywhere, including on your commute or between rounds on the wards—even in Wi-Fi free zones. • Close knowledge gaps. Get a boost when reviewing the information you missed the first time around by turning on the learning radar. Good effort, but the only real asset of this AMBOSS app would be being a reliable and quick-access reference resource. Since the search function takes you minutes to find your desired content, it’s not anywhere near to being helpful in studying for the boards.